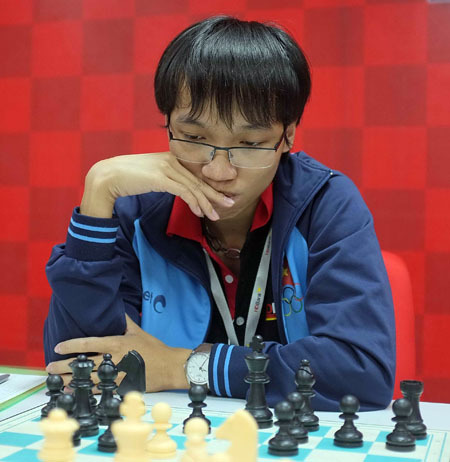 hairulovchessmaniac: Yeoh Li Tian beat GM Nguyen Ngoc Truong San ! 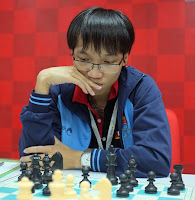 Yeoh Li Tian beat GM Nguyen Ngoc Truong San ! Yeoh Li Tian (FIDE 2278) create a sensational result today when he beat GM Nguyen Ngoc Truong Son - FIDE 2647 (photo left) in the first round of the HD Bank Cup International Open Tournament. The tournament is held in Ho Chin Min City, Vietnam .